The 2016 roads battle between Michael Dunlop and Ian Hutchinson has been reignited after Northern Ireland journalist and Tyco BMW's Press officer suggested on Twitter that the 13 times TT winner was about to end his long running association with Dunlop tyres on the day the Ballymoney man announced he was joining Bennetts Suzuki. 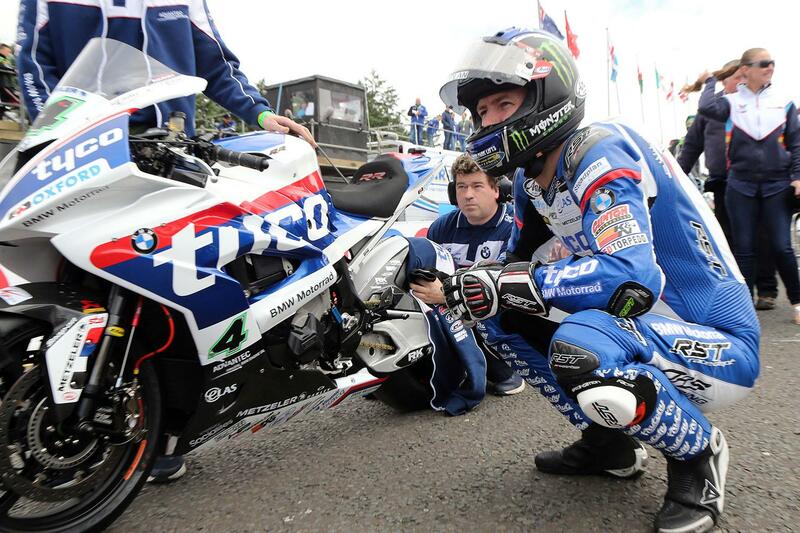 The Isle of Man TT and North West 200 lap record holder immediately hinted it was Hutchinson's Tyco BMW team that is set to change tyre companies, tweeting that Tyco were 'moving to Dunlop'. Every Superbike and Senior race victory at the TT has been on Dunlop rubber since Cameron Donald won the Superbike TT on a Relentless Suzuki in 2008 and industry sources have confirmed Hutchy IS set to shift to Dunlop rubber for the roads in 2017. Hutchinson, who is renowned for his assertiveness with regard to his choice of bike set up and equipment, was Metzeler's highest profile road racer after Guy Martin confirmed he would use Dunlop tyres when he joined Honda for 2017. Hutchy's defection would be a bitter blow to the Italian tyre manufacturer but the 'if you can't beat them, join them' move may mean the Yorkshireman will start on a more equal footing at TT 2017 with his Dunlop mounted rivals Michael Dunlop, John McGuinness and Bruce Anstey.